Amyotha (U Kyi Myint) and Pyithu (U Tin Shwe) Hlttaw. Senate 11, Yangon is going to be won by NDF !!! with 199/212 at another one. Linn wins in one polling station we are excitingly waiting. 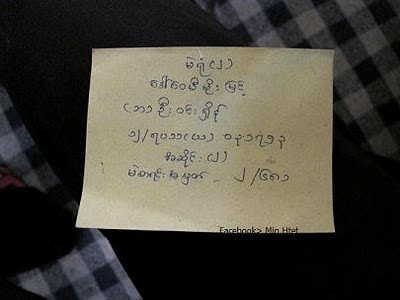 i hate aung thein lin.those who voted him maybe insane.thanks for ur news..USDP must fail. Really admit to our people who support to NDF or Democracy. Even 100% unfair election also can able to vote for Democracy. Thanks a lot. ကၽြန္ေတာ္တို႔အားလံုးရဲ႕ စိတ္ထဲမွာ ဘာရွိတယ္ဆိုတာ တစ္ေယာက္နဲ႔ တစ္ေယာက္ရွင္းျပစရာေတာင္ မလိုပါဘူး..
ကၽြန္ေတာ္တို႔ ေစာင့္ခဲ့ရတာ ဘယ္ေလာက္ၾကာၿပီလဲဗ်ာ ..ေလးႏွစ္ဆိုတာ ပမႊားပါ.. ကဲ.. ကၽြန္ေတာ္တို႔ ေကာင္းေအာင္ေနၾကမယ္ .. တက္လာတဲ့ ေလးႏွစ္သား အစိုးရကို ေစာင့္ၾကည့္ၾကမယ္.. မေကာင္းဘူးလား..
မဲအႏိုင္အရႈံးေအာက္က ေရးထားတဲ႔ ိုကိုေအာင္ရဲ႕မွတ္ခ်က္ေလးေတြ ဖတ္ျပီးလည္း အသံထြက္ေအာင္ ရယ္မိေသး..
အ႐ွက္မ႐ွိတဲ့ တေတာင္းစားေတြ မဲခိုး မဲလိမ္ပီးမွ ႏိုင္တဲ့ေကာင္ေတြ ..